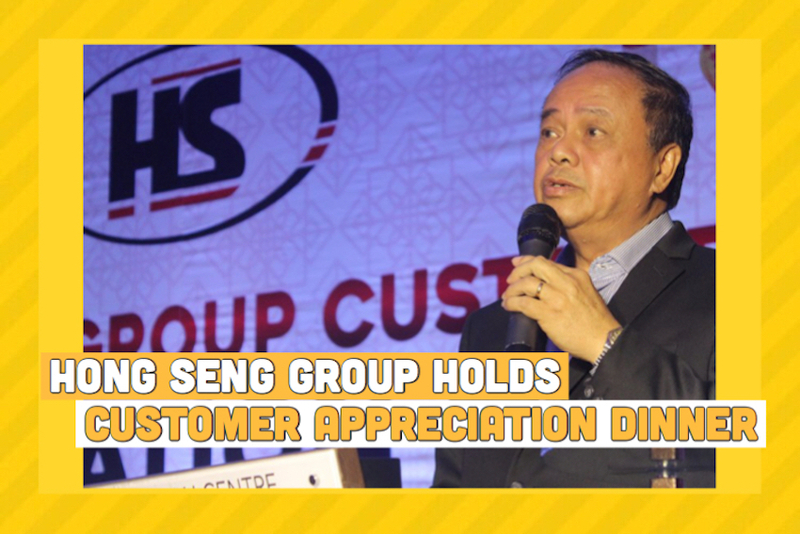 Hong Seng Group Holds Customer Appreciation Dinner! Hong Seng Group (HSG), a leader in remanufacturing and rebuilding services in Malaysia, held an appreciation dinner for its customer on 4th January. Held at Setia City Convention Centre, the dinner was well attended by about 700 people. Hong Seng Group shows appreciation to customers! Dato’ Teoh pointed out that the Group had expanded its product offerings. Last year, the company added LGMG mining trucks to its portfolio and this year, it added mining trucks and highway commercial vehicles from Shanxi. In 2015, he continued, Hong Seng Power, a holding subsidiary of Hong Seng Group, started a cooperation effort on marine engines and industrial generators with Weichai, one of the largest automotive and industrial equipment manufacturing groups in the world. Hong Seng Power was also appointed as an exclusive OEM for Baudouin PowerKit in Malaysia, which is a high-end generator brand under the Weichai Group. Among the highlights was a brief video about the history of Hong Seng Group, showing its past and where it came from. It was a night for laughter and catching up.